How can I change the title of a received submission? Change the title of a submission or application after it has been submitted. Level 4 and 5 administrators can change the title of received applications or submissions. Click on the submission in your Submissions List. 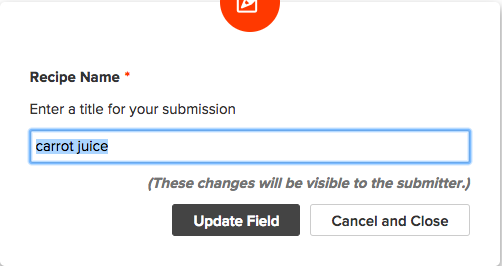 When the submission opens into the Submission Details page, click on the pencil icon to the right of the submission title.